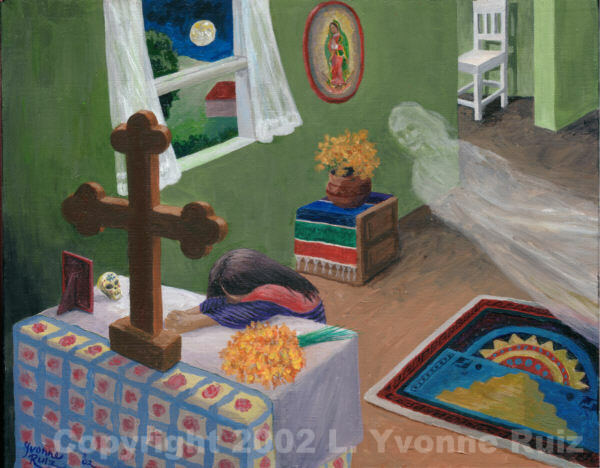 L. Yvonne Ruiz Dia de los Muertos Prayer, 2002. Acrylic on stretched canvas. 14 inches x 11 inches. 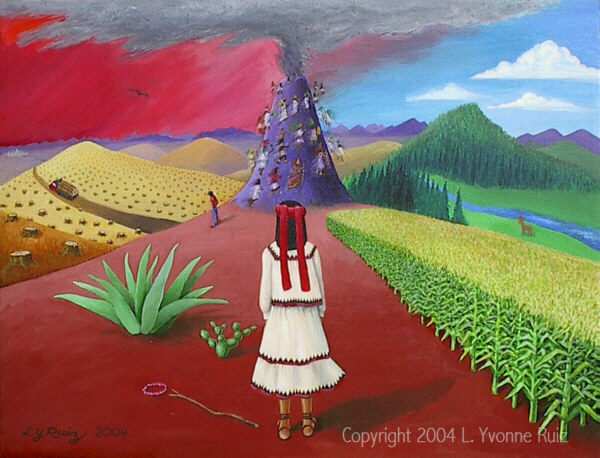 L. Yvonne Ruiz Tarahumara Sacrifice, 2004. Acrylic on stretched canvas. 24 inches x 18 inches.